I found some examples of Korean language malspam using attached XLS files to push Flawed Ammyy RAT malware. I didn't have time to dig into this and share all of the indicators (IP addresses, file hashes, etc,), so this is a quick post. My previous example of Flawed Ammyy RAT was posted on 2018-11-30 (link). 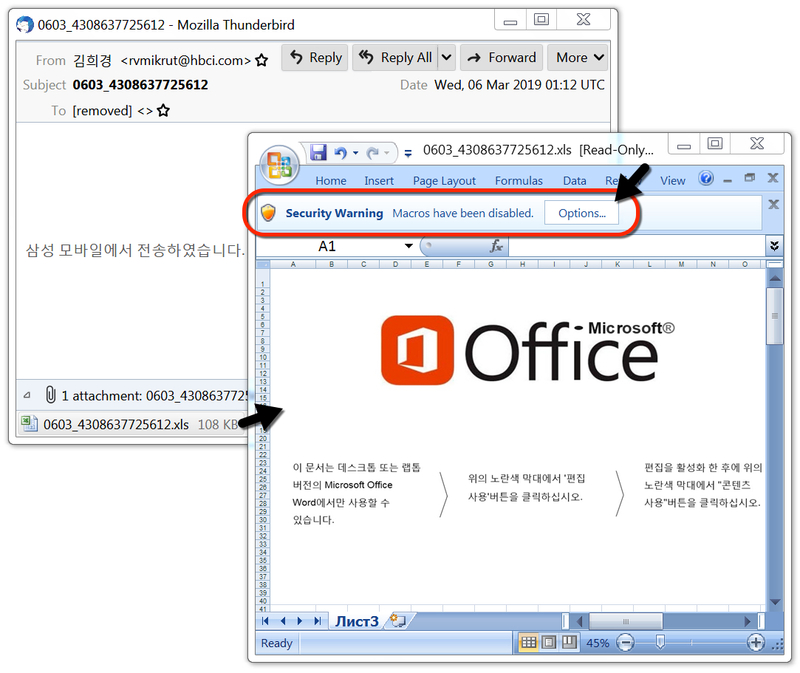 Shown above: Screenshot of Korean malspam pushing Flawed Ammyy RAT malware (1 of 2). 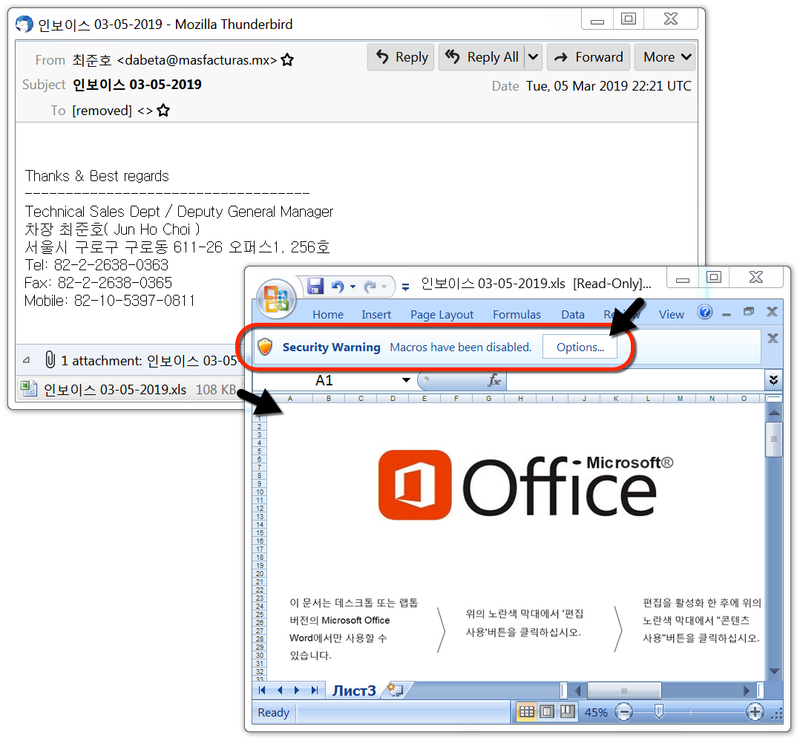 Shown above: Screenshot of Korean malspam pushing Flawed Ammyy RAT malware (2 of 2). Shown above: Post-infection traffic over TCP port 80 caused by Flawed Ammyy RAT malware. Shown above: Post-infection traffic over TCP port 443 caused by Flawed Ammyy RAT malware.